Specific information on this page uses source data from the following government entities. DISCLAIMER: The information on this page should not be viewed as an official or legally binding document. Other requirements or exceptions may apply. For more detailed information, please consult an IRS tax representative and/or official IRS publications. For at least seven years, Federal and State governments have been giving incentives, rebates, credits, deductions, and other perks to encourage the move away from fossil fuels. We realize these incentives can have a major influence on how you would calculate vehicle financing, especially when using our payment calculator applications. Major differences exist between the 2013 and 2014 tax years. This page aims to serve as a starting point for easier communication between you the consumer, your tax professional, car dealerships, and the Internal Revenue Service. 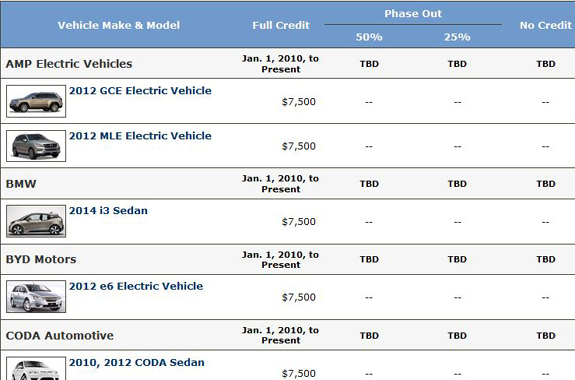 Even after a one year extension via the American Taxpayer Relief Act of 2012, the well-known Plug-In Electric Drive Vehicle Credit will expire at the end of this year. If your car of choice is qualified as being eligible, you will want to move forward in the financing process, purchase the car, and have the title in your name and possession on or before December 31st, 2013. Q: How do I know which vehicles are still eligible for this program? 1.) At the start of your search, it is best to stay clear of browsing information directly from websites located within the IRS, Department of Energy, Library of Congress, or any other government website where laws, tax policy, codes, amendments, legislation, sub-sections, and similar styles of writing are used. This can easily confuse an individual who has not gone through the years of training to correctly analyze this information, interpret these matters, and to become familiar with certain formats of documentation. If you feel like digging in further, scan through the more detailed U.S. Department of Energy's (DOE's) Alternative Fuels and Advanced Vehicles Data Center (AFDC). 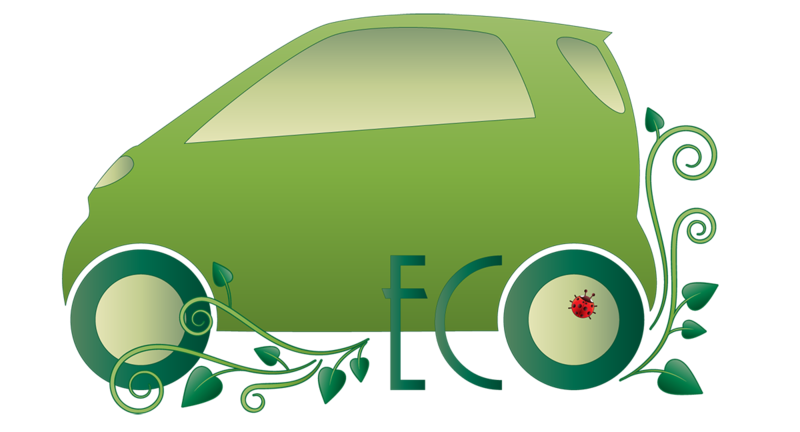 There a list is maintained of Federal and individual State-Specific Incentives and Laws for HEVs and other alternative fuel vehicles. If you enjoy research, then don't forget to read a list, ordered by manufacturer, of qualified vehicles on this IRS page. 2.) After acquiring a better understanding of the eligibility and availability of vehicles, the next step should to contact a variety of auto dealers and question their staff about the tax credits and how they apply it to their offering prices. Do not speak to only one person at a dealership, but go directly from the sales department to the financing and underwriting departments as well. 3.) Find a reliable CPA. Send to them a list of vehicles you are interested in, along with the time frame you expect to make the purchase and hold the title in your possession according to your state laws. To speed up the process for the accountant, send them any relevant links to government web pages or send the location of this page, as it makes a good starting point even for a tax professional. You may be hesitant to pay an accountant so close to making a purchase, but when thousands are at stake, it's better to be safe with the correct information on your side. Once you know your vehicle or vehicles of choice, confirmed they are qualified for the tax credits you expect, and have verified this with a Certified Public Accountant, then you are ready to pay that day and drive away. IMPORTANT: For many years, the common phrase used in media, advertising, government communication, and between individuals was simply “Hybrid Vehicle Tax Credit”; or any shortened variation. In IRS documentation, the common phrase used is, “New Qualified Fuel Cell Motor Vehicle Credit”; occurring with words in different orders. The difference in the wording we notice most is, ‘Fuel Cell' and followed by ‘Qualified'. Please take note of the importance of the term, ‘Qualified', as it has and will remain a major factor on your expectations and choices when shopping and pricing a new car. The other term, ‘Fuel Cell', can now describe a motor that is completely different than our familiar ‘Hybrids'. If you have not already, get familiar with fuel cells since that technology is where the automotive industry is transitioning. ‘Hybrid' is rolling over into other electric-specific terminologies such as ‘Plug-ins', with abbreviations EV, and PHEV. The 2014 Fuel Cell Motor Vehicle Tax Credit is “a tax credit of up to $4,000. Under current law, this tax credit expires on December 31, 2014″. We recommend the same process explained above in following steps 1 through 3. It is a disappointing feeling to start calculating a budget for a car with major tax savings, only to find out at your chosen vehicle is not part of the qualified bunch. Do not rush these new alternative fuel cars just keep getting better every year.